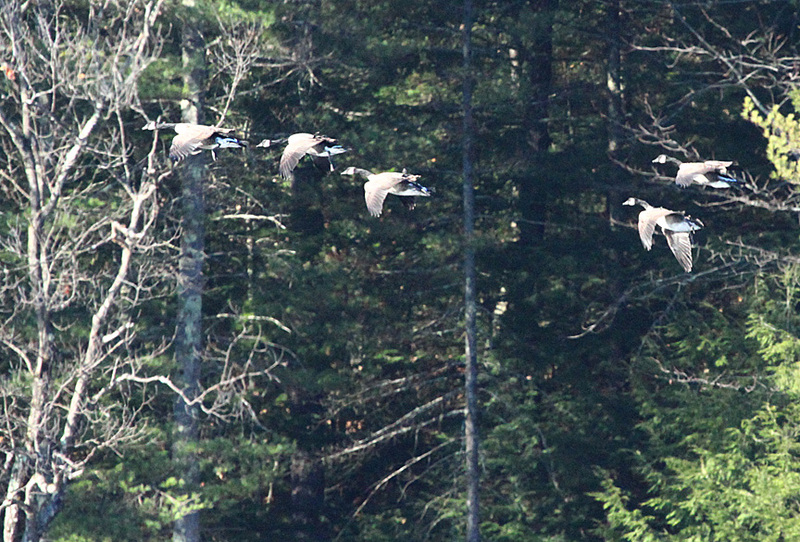 About a week ago, Gerry and I went to Minards Pond in Bellows Falls, a favorite birding spot. 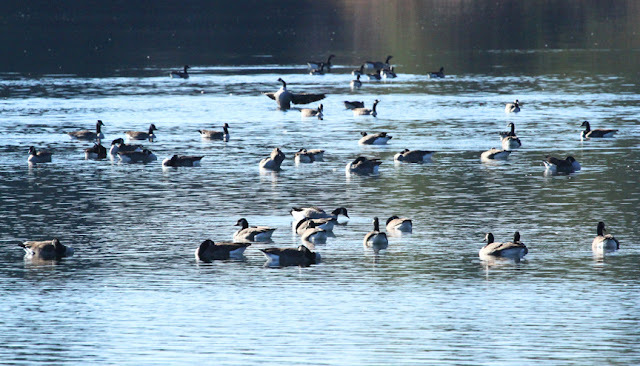 It was a lovely, warm November day with a group of ring-necked ducks and flocks of Canada geese continuously flying in. 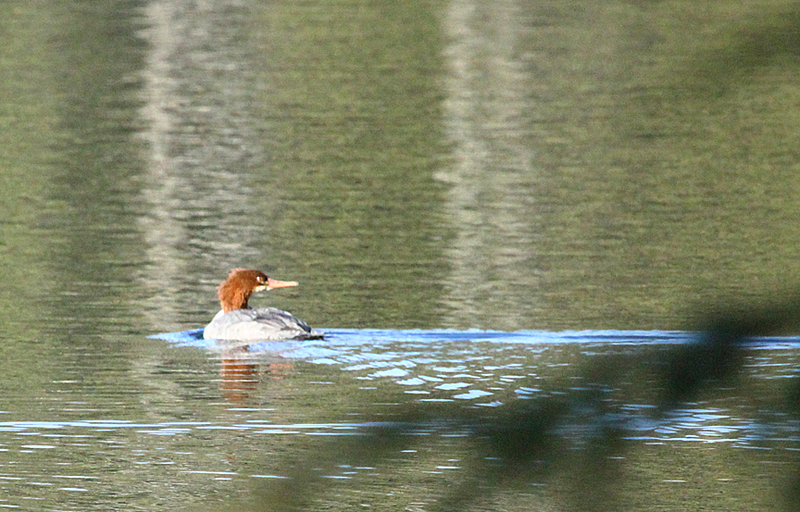 There was a lone common merganser swimming by and a single great blue heron on the shore. 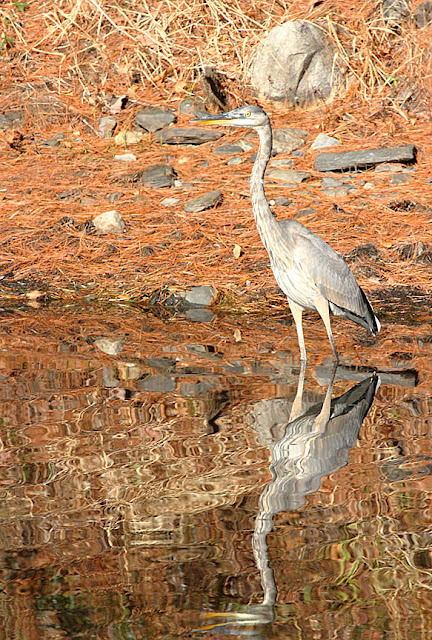 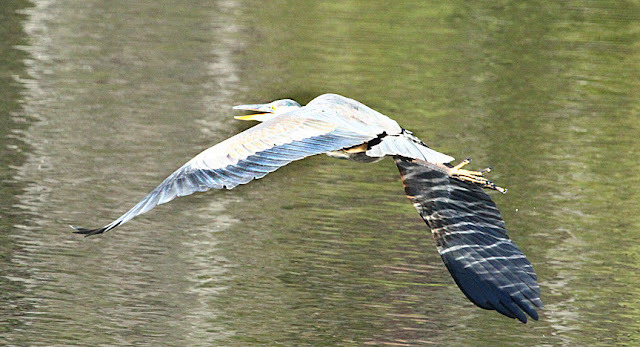 Love the reflections on the water, and especially on the underside of the heron's wing.